Firstly, if you’re planning a career in scientific fraud, then medicine is an excellent place to start. Findings in complex biological systems – like “people” – are often contradictory and difficult to replicate, so you could easily advance your career and never get caught. And fraud is not so unusual, depending on where you draw the line. In 2005 the journal Nature published an anonymous survey of 3247 scientists: 0.3% admitted they had falsified research data at some point in their careers, in acts of outright fraud; but more interestingly, 6% admitted failing to present data if it contradicted their previous research. They are not alone. Robert Millikan, to take just one example, won a Nobel prize in 1923 after demonstrating that electricity comes in discrete units (electrons) with his oil drop experiment. Millikan was mid-career – the peak period for fraud – and fairly unknown. In his famous paper from Physical Review he said: “this is not a selected group of drops but represents all of the drops experimented on during 60 consecutive days”. That was untrue: in the paper there were 58 droplets, but in the notebooks there are 175, annotated with phrases like “publish this beautiful one” and “agreement poor, will not work out”. Chillingly, there is a continuum between this naughtiness, and lots of apparently innocent research activity: what should you do with the outliers on the graph? When you drop something on the floor? When the run on the machine was probably contaminated? Dr Reuben was at the other end of the scale. He simply never conducted various clinical trials he wrote about for ten years. In some cases he didn’t even pretend to get approval to conduct studies on patients, but just charged ahead and invented the results all the same. The details haven’t come out yet – investigators have asked various academic journals to formally withdraw at least 21 studies – but fabrication is often easier to spot than selective editing, and some people have argued for various fraud detection tools to be used more commonly by academic journals. The human brain is a fairly bad random number generator, for example, and simple frauds have often been uncovered by forensic statisticians looking at last digit frequency: if you’re pencilling numbers into a column at random, you might have a bit of an unconscious preference for the number 7. And a more interesting version of this pattern spotting applies to the lead digits further to the left in a number, which should conform to the Benford Distribution: a mathematical formalisation of the common sense observation that 1 is more common than 9 in these positions, if you’re measuring stuff. Fine, you might say: I’ll use a random number generator. But here you run into the problem of telltale uniformity in your randomness. Jan Hendrik Schön co-authored roughly one paper every week in 2001, but his results were too accurate. Eventually someone noticed that two studies had the same amount of “noise”, and it turned out that many of his experimental results had been generated by computer, using the very equations they were supposed to be checking, with supposedly realistic random variation built into the model. But for all our joy at mischief, we should remember that fraud has consequences. Faking the coin can retard progress, and it can waste the time of big thinkers. Arthur Smith Woodward, one of the 20th century’s greatest paleontologists, burned valuable life at Piltdown every year until he died, trying to find more remains to match the fraudulent Piltdown Man. And in medicine, data isn’t an arbitrary or abstract thing: Reuben’s work examined the best way to manage pain after operations, and he provided evidence that non-opiate medications are equally effective. Now that field is in turmoil. And pain really matters. Jesus wept….its like being trapped in lift with a third rate adolescent poet. Is the above poster really or some odd joke ? only a foolish or fraud man of god would refute logic pure maths and critical falsification etc? only a foolish or fraud scientist would deny god? It’s like English, only not. Ethics, if you really are posting genuine posts please try and make your posts clearer; at the moment you make less sense than a stunned haddock. Be tolerant of your teachers: you may find you have to learn through teaching in the future. ps hit the link to u tube? For some people, you need to point out the errors in their statistical analysis to make them look like idiots. For others, you need to point out their questionable ethics, or hidden agenda, and then make them look like idiots. And then there are those who need nothing more than an open comments section, and they will do the rest themselves. Still, at least it is laid out like really bad poetry from an Open Mic night at the local pub. you feel what i sayin and dare not challenge it? poet scientist – what da differnce – open mic – yes – pub no prob not – that’ll ne a pub lickin you? lay out – design then? no delve – not worth it??? 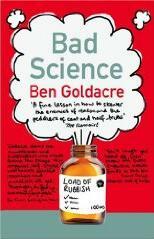 4 scientist laid out with really hateful sarcasm is the lowest defence of wit? are you worried your child and you can make more sense than you??? rather would along with the issues please? is anyone tryin to truely model us? Erm, you just did. L O V E. See, it’s easy. is this how you treat your patients??? Martin again (for some reason I can’t use the same log-in at work and home).